ROBERT EUGENE WHEELER, of Eureka Springs, Arkansas, was born July 27, 1933, in Carlsbad, New Mexico, to William Everett and Lucille (Myers) Wheeler. He departed this life March 21, 2019, in Eureka Springs, at the age of 85 years. 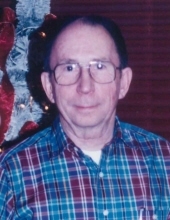 Bob graduated Eureka Springs High School in 1951 and went on to attend both University of Arkansas and UCA, in order to collect as many math credits to hedge his bets to enter military flight school. He became a United States Marine, an arial photographer and veteran of the Korean War. He enjoyed photography as he continued to work in the family business of the local newspaper, which led to many years owning a successful printing company. Among his more voluminous projects was as the contracted arial photographer for the construction of Beaver Lake and Dam, using his own plane and camera gear. Bob also put what he learned in college to good use on several occasions, including the design, construction of the family home at Beaver Lake. On January 17, 1981, he was united in marriage with Patricia Anne (Moore-Dunnam) Wheeler who survives him. He is also survived by his sons, Stan Dunnam of Tulsa, OK and Cris Dunnam of Austin, TX; 7 grandchildren; 15 great-grandchildren, and 5 great-great-grandchildren, as well as loving nieces and nephews near and far. To send flowers or a remembrance gift to the family of Robert Eugene Wheeler, please visit our Tribute Store. "Email Address" would like to share the life celebration of Robert Eugene Wheeler. Click on the "link" to go to share a favorite memory or leave a condolence message for the family.